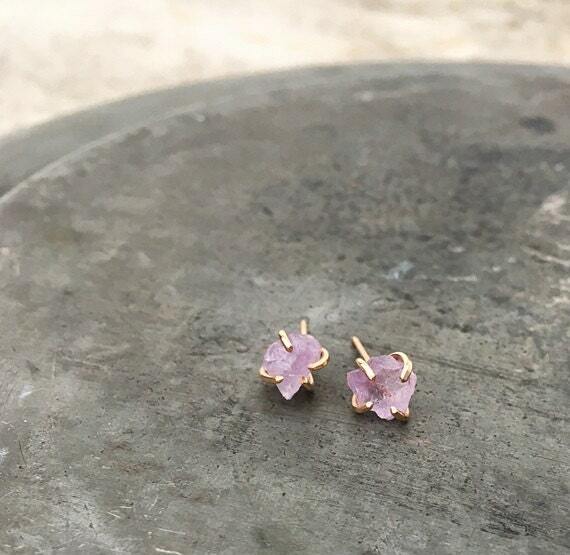 These beautiful raw amethyst studs are made with 14k gold or gold filled and tucked securely inside a handcrafted claw prong. 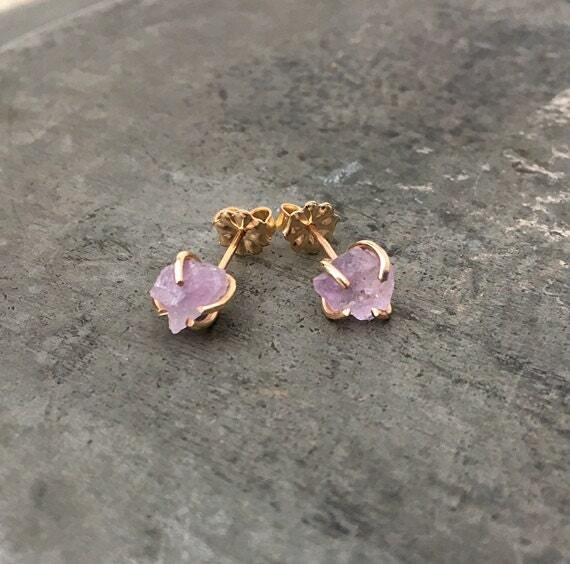 The stones vary in size and shape but are approximately 6-7mm. 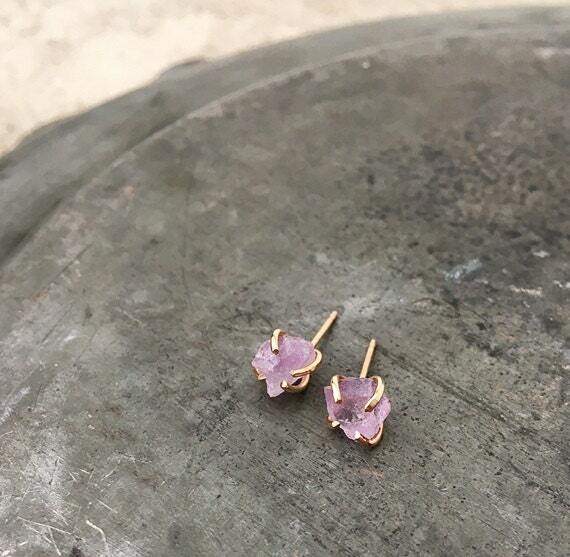 Each pair of studs is made to order, so yours may vary slightly from the above photo. Please convo me if you have any questions or special requests.